Like Clement Attlee I get driven around by my wife (Vicky), which suits me as I can read or sleep, however, this does mean she controls the radio and on Sunday’s its BBC’s Radio 1 Chart show. 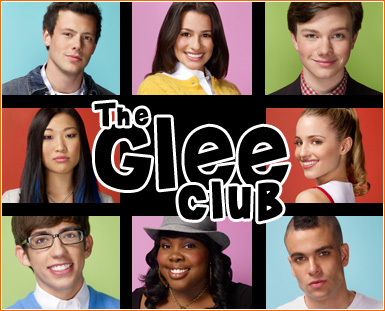 I’d noticed that there were a lot of covers being sung in the charts and I found out it was from the programme “Glee”, an American musical comedy-drama television series on E4 it focuses on a high school glee club called “New Directions” at the fictional William McKinley High School. Never seen the programme but for me Glee Club only ever triggered off hazy, alcohol tinted memories of the after conference party where members and MPs do silly sketches and sing satirical songs. I’ve only been to two but apparently Paddy Ashdown always does the same joke!